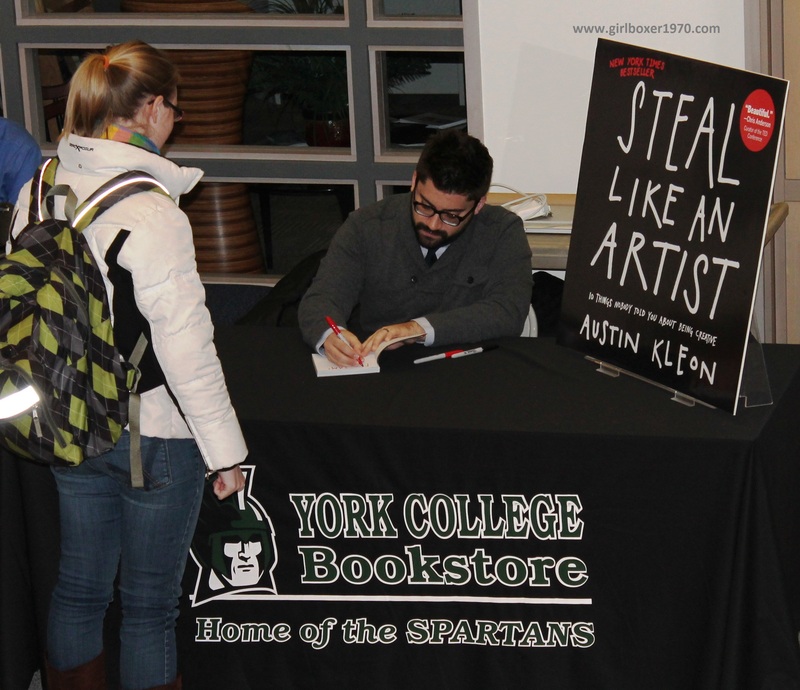 Austin Kleon spoke at York College campus about his artistic drive that began in middle school and blossomed when a famous artist, Winston Smith, responded to a letter he wrote as an assignment in class. 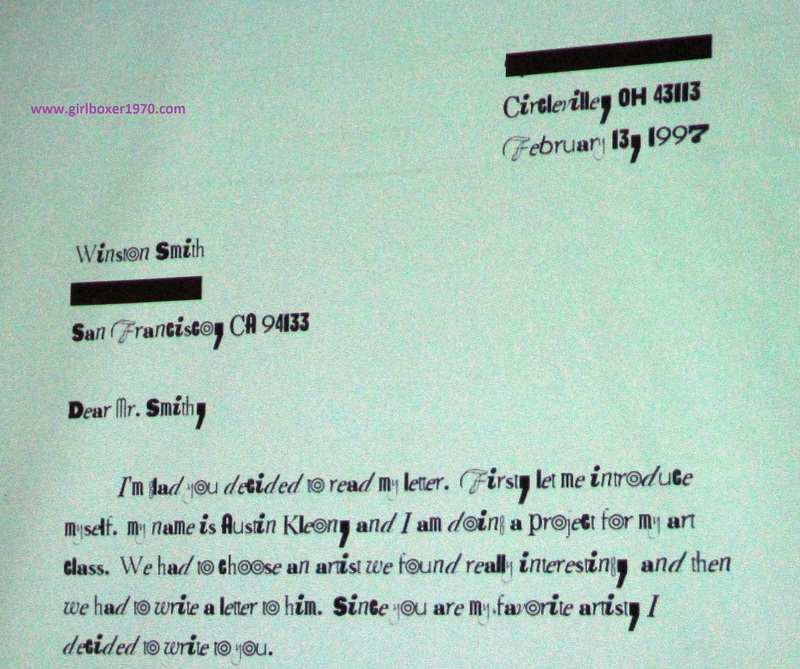 Kleon wrote his letter using “ransom note” font which looked odd on paper and that may be the reason this letter caught the attention of the artist. Little did Smith know he would be a positive influence in Kleon’s life with his responding letter of encouraging words and bits of advice. 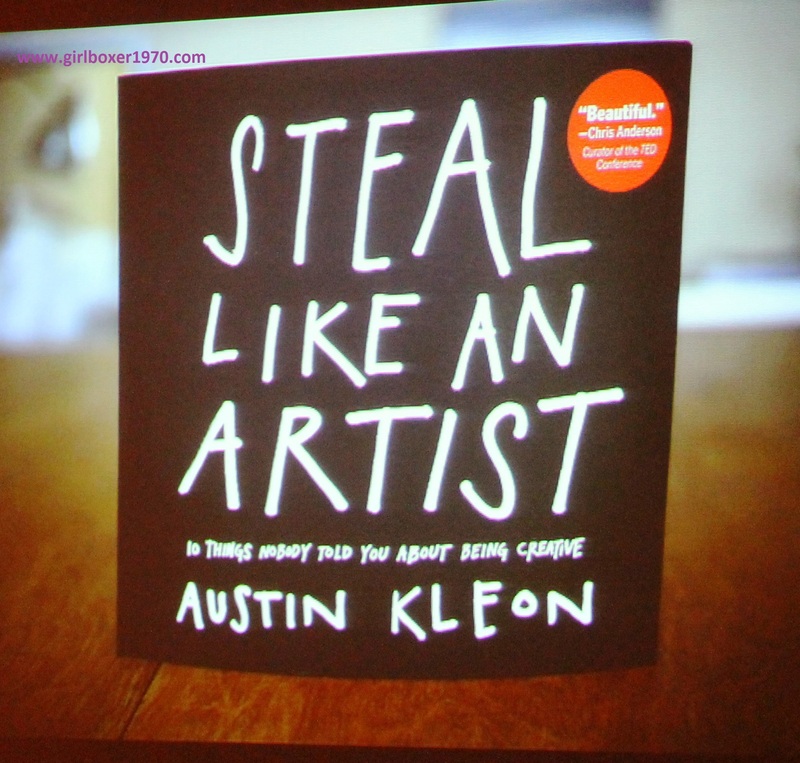 Describing himself as an artist who writes, Kleon combines both images and written content to clarify his ideas to his audience. The combination of both in layman’s terms does bridge the gap for those not familiar with creative nonfiction writing. The English language and terms used to create personal essays can be confusing. Ironically, most people use many writing tools to make their essays more interesting without realizing their sentence is a specific tool. Knowing the advanced writing tools by name is not as important as using the tools effectively. Also, breaking the traditional rules of grammar is not always bad and could lead to an essay that stands out due to the breaking of traditional format and grammar. The slideshow presentation was well done. Kleon told his story and the slideshow kept the audience’s attention, a good mix of information, pictures and humor in just the right amount of time. He had ten tips on unlocking creativity from within that really made sense without writer’s jargon thrown in for confusion. The presentation peaked my interest in owning Kleon’s book and before the lecture was over I was prepared to purchase my own. I thought of it as a creative nonfiction writer’s handbook. If a writer begins to struggle with an inspiration to produce, Kleon’s book can get them back on track. 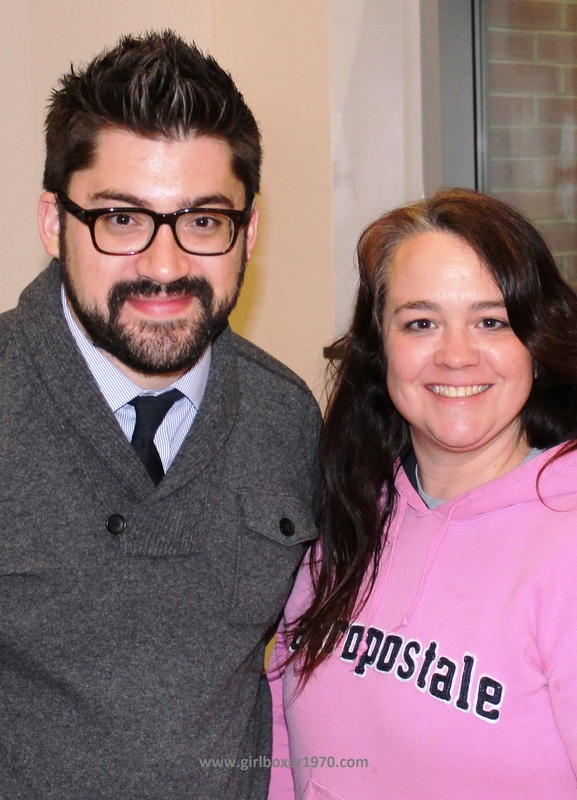 The underlying message Kleon gave to the audience was to not fear the unknown and just be creative. “Winging it” is his style and that is not unusual in the artistic world. His book, “Steal like an Artist” is on the NY Time’s bestseller list. Before his presentation ended all his books were sold out. 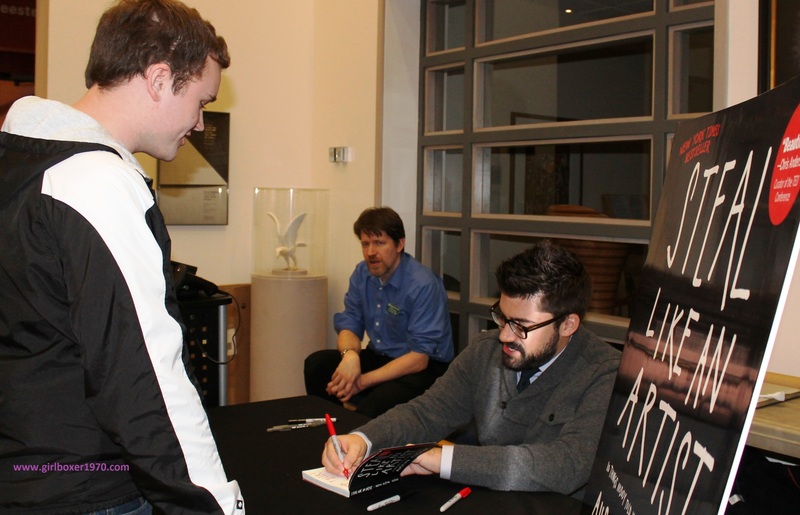 I lingered, snapping pictures and listening to the conversation during the book signing. I bought the last book Kleon had that night. It was stashed away in his car. I have been carrying the book around in my book bag and absorbing a few pages at a time. WELCOME TO THE CHURCH OF LADY GAGA. THROUGH HER THE WORD OF GA IS SPOKEN. PREPARE NOW FOR THE END OF TIMES. THE NEW WORLD WILL BE USHERED IN. THE WORD OF GA IS FOR ALL TO HEAR AND LEARN. ACT NOW BEFORE YOU LOSE THIS CHANCE OF LIVING IN A UTOPIAN SOCIETY. believed to be the creation of the Illuminati. There is no formal church sight at this time but access to Lady Gaga and her interpretation of Ga’s word can be found in her music, tattoos, hair styles and photographs. We must stay in shape. No one loves a fat Ga. See how gorgeous I am? Get up and learn my songs and dance steps. No lazy Ga Monsters! Listen to my words earthlings. I am actually an alien, planted on Earth through Lady Ga. What she sings and says is My Word. Learn this new language. Study and embrace the new language and you will understand My word. Get along. Believe in Me. Understand that I am of the Heavens, an alien. You see because I send My message through Lady Gaga. Be good to each other. The Anti-Ga Cultist Resistance Group (AGaCRuG) is out to take you from Me. politicians need to go anyway. I will decide the fate of the in prison justly. Most will die, Charles Mason will be saved. He is one of the chosen and will do Ga’s will as instructed. have peace on Earth. A new, utopian life. There will be no external disputes. We will not need written laws on pettiness. Officials of the old religions will be replaced both in religious sanctions and governmental. No one will tell you who to love and marry. Only those left are worthy, and may choose freely. We will repopulate the earth with our Monster seed. Be yourself but act with correctness. We will be changing the world. This world is full of hate and we have the ability to use that hate to start a new society by forming new families. here. Heed what the ancient Mayans have taught. There is no time to waste. replenish its self. Removing 6 billion people will clear the way for nature to return. Just the beginning of my religious cult. I think the final paper must be at least 12 pages. Will keep posting as my assignments makes progress. I feel an oncoming scream of frustration. Deep feelings for one who doesn’t know I care. Every time I pass him in the hall. Knowing I could never tell him I care. Knowing I’ll never have him. Through-out this semester I believe my writing skills have improved. The credit for this improvement goes to the Creative Writing course. I have always had interest in creative literary pieces but prior to enrolling in this class, I never read outside of the genres I enjoy. This semester allowed me to step out of my comfort zone of novel reading and realize the enormous amount of genre themes and forms of writing available. The general terminology provided in the Creative Writing Textbook and classroom discussion greatly assisted in my understanding of the language of writers and meaning of literary terms. The Creative Writing course also calmed my fears concerning my major in Professional Writing. I wanted to feel comfortable writing my own non-fiction stories but did not know how to go about accomplishing this. Often I would doubt my ability to make what has happened or is happening in my life interesting to others. I did not want my short stories to have a whiney sense about them that would cause a negative reaction from a reader. My goal was to find a way to share clips of my life in a humorous and/or shocking fashion that would hold a reader’s attention as a compelling piece of work. At times the writing workshops were interesting beyond words. The creativeness of my classmates really pushed me to give serious thought to what I would be presenting during my workshop timeslot. Assumptions I made at the beginning of the semester were crushed by the abilities of my fellow students. Never again will I jump to the conclusion that someone who appears uninterested in class discussion won’t have the ability to write captivating stories. Of all the works presented during workshop, the piece that impressed me the most was that of a student that appeared to be lost in his own thoughts during class. Workshop also taught me the fine art of constructive criticism. This is very important because I now have the ability to look deeper into a written piece of work and not only critique it but realize how differently people can interpret a story or poem. I have a stronger appreciation for poetry and enjoy reading a poem several times to see if I can interpret it differently. Classroom discussion of my essay opened my eyes to all the different avenues I could take concerning an aging bridge in York County. 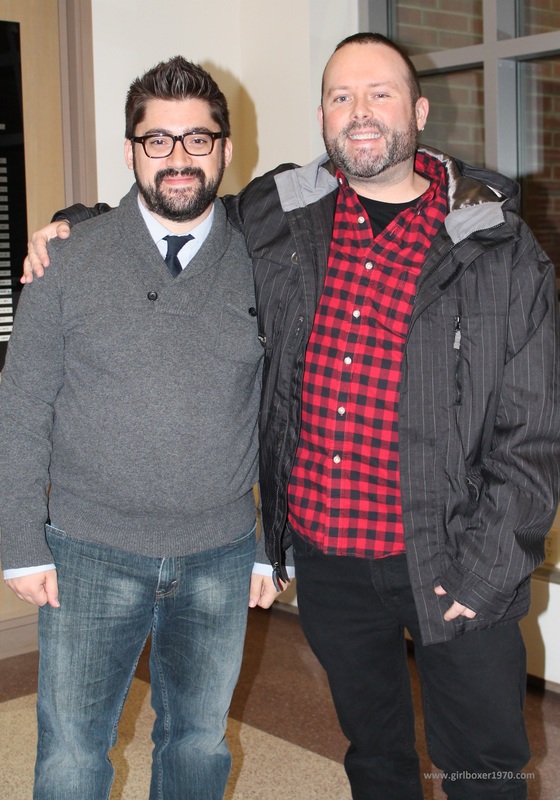 I also credit visiting writers for creating excitement outside of the classroom setting. Marcy Dermansky, Curtis Smith and especially David Shields passion for writing was contagious. Meeting these authors and hearing their personal stories as struggling artists was inspirational. I literally felt like I could burst with happiness when Shields both praised and critiqued my hermit crab essay. 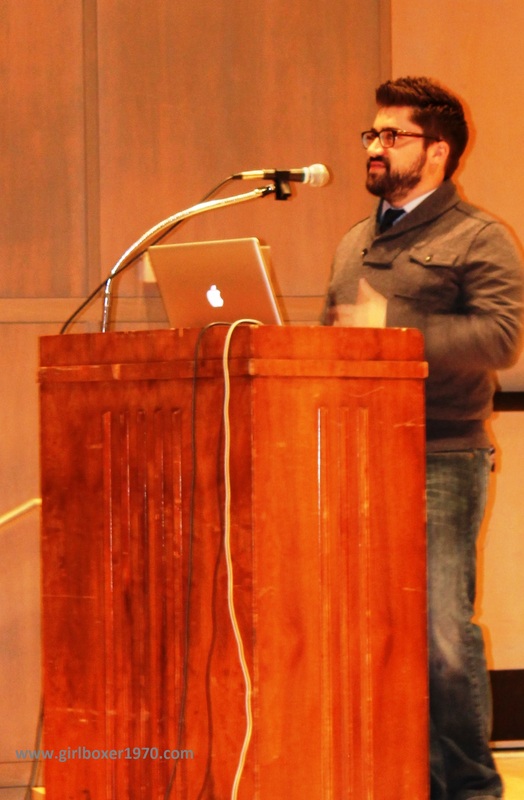 Also this semester, I attended the Professional Writers Forum at Gettysburg College. The amount of information I acquired will undeniably assist me in the future. The greatest development for me personally is blogging on the WordPress.com website. When my professor said “For nineteen bucks you can get your own blog site” my ears perked up. I have been blogging regularly since early March and now have a following of people reading my work. Recently my site surpassed five thousand hits and has generated comments on my site and to my email. My plan for the future is to publish a creative non-fiction book containing slices of my life. This blog site has become a preview to what my book will contain. I believe loyal readers of my blog site will have interest in reading my published story. With these hopes of publishing a national best-seller, I will continue working on my drafts from class. Using the knowledge I have gained this semester during class from my professor, visiting writers and classmates I will continue to push myself to “write what I can’t shut up about” to the best of my ability. The property of Beaver Hole is clearly marked “No Trespassing” but evidence left behind at the bridge is proof that people ignore “posted” property signs. The amount of trash left behind and the content can be shocking. At some point during the summer of 2010 I began picking up the trash carelessly discarded. I chose a barren area by a telephone pole to set the trash bags and someone, I assume the garbage collectors, pick them up. The common trash is just that, everyday paper, cans, bottles, wrappers, etc that people would usually throw in their trashcan. It’s the uncommon trash that stands out during a clean-up walk that gets my attention. Trash that wouldn’t normally be found along a busy road. A recent trip to the bridge with hopes of taking photos and enjoying the peaceful environment became a clean-up mission instead. The melting snow revealed litter along the roadside and the creek. Litter sheds light on the activities at the bridge. Multiple beer cans and bottles, all empty, of course. A cigar tube, a plastic bag of cigar tobacco and one empty baggie with the corner torn off. Curiously, I also found a sock, not to far from the baggie, wet, dirty and now single. A party of two people, most likely, at Beaver Hole. Everything else seemed to make sense, minus the sock. What could this all be summed up as? Scavengers, feeding off of the natural beauty and seclusion at Beaver Hole? People carelessly upsetting nature for their own enjoyment…are scavengers of the Earth. This is why landowners feel they need to post their property. Owners want to protect their slice of nature from human scavengers.